Paul Ryan has always moved fluidly between still photography and cinematography. Paul studied photography with Minor White, Ansel Adams and W. Eugene Smith. 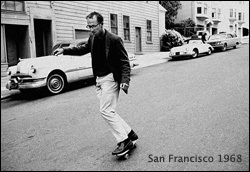 He came to prominence chronicling the 1960’s San Francisco culture. Including in depth photographic and film studies of architect Larry Halprin and choreographer Anna Halprin. His photographs were included in international shows such as Magnum’s America in Crisis, and Robert Riger's Man in Sport. 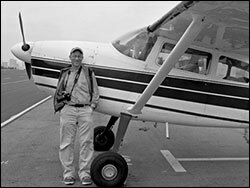 Recent photographic exhibits include In the Blink of an Eye, featuring children of Los Angeles and Aerial Perspectives, a view of the land from his single engine Cessna aircraft. His images from Welcome to California were shown at Track 16 Gallery in Los Angeles. He has taught photography at the Ansel Adams workshops. 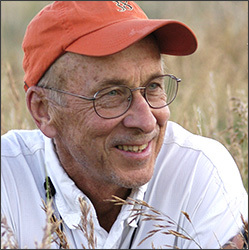 Paul’s cinematography credits include Terrence Malick’s classic, Days of Heaven; Tom DiCillo's A Box of Moonlight Big Bad Love, starring Debra Winger; Robert Redford’s A River Runs Through It; and The Horse Whisperer. His documentary background includes films on the World Cup of ski racing, Salvador Dali and the San Francisco Hells Angels. He has taught cinema at the Sundance Institute and AFI. A Boston native, Ryan flies his own airplane and once competed on the national ski racing circuit out of Aspen. He studied aeronautical engineering at Rensselaer Polytechnic Institute, and film at San Francisco State University. He now lives in Santa Monica, California.